gCaptain has a nifty little clip of a small STOL aircraft landing on a merchant ship’s main cargo deck. OK, so the Brodie device wasn’t quite the same. 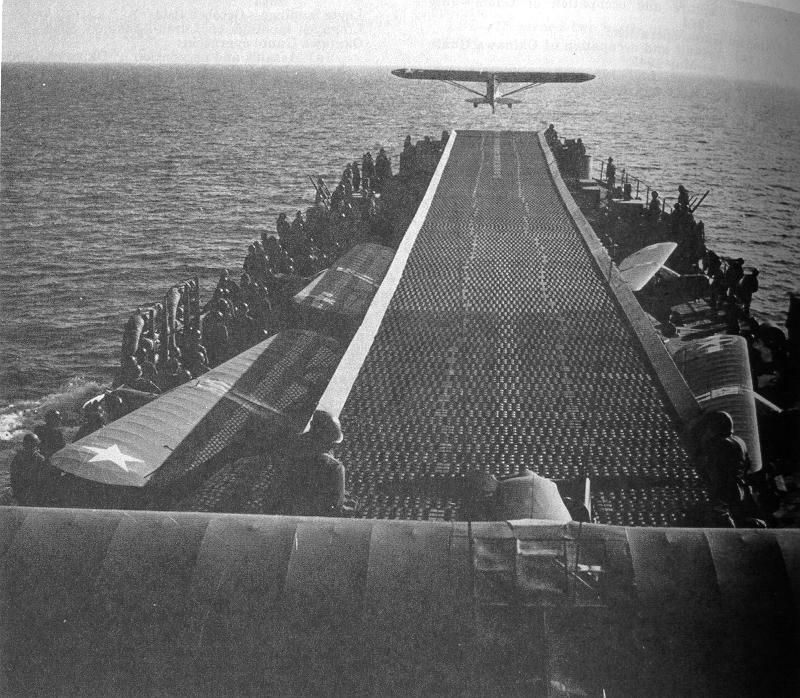 But other LSTs did operate as launch (but not recovery) platforms for light aircraft with an extremely narrow deck.